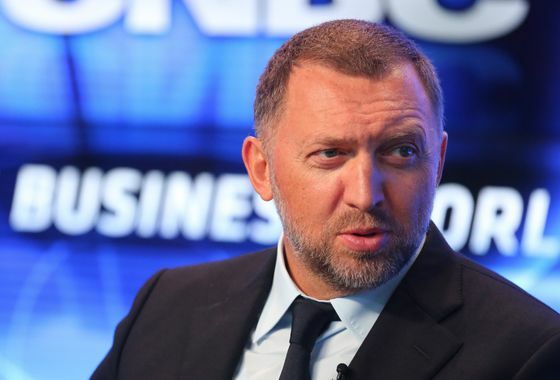 (Bloomberg) -- A deal that convinced the U.S. to lift sanctions on companies linked to Oleg Deripaska may have helped restore order to the global aluminum market, but it’s left the Russian billionaire himself increasingly isolated. Executives and board members at United Co. Rusal and parent En+ Group Plc now avoid communicating directly with their biggest shareholder, who remains under personal sanctions, according to people familiar with the matter. Deripaska has been missing from the splashy VIP events he’d previously frequented and even fellow billionaire Vladimir Potanin says his rival’s absence is being felt. It’s almost a year to the day since the U.S. announced sanctions on Deripaska and his businesses, throwing their operations and the global aluminum market into turmoil. Following almost eight months of talks and furious lobbying, and after Deripaska agreed to reduce his ownership and relinquish control over the companies, the Treasury removed Rusal and En+ from the restricted list in late January. Since then, Deripaska has remained largely out of sight. He didn’t attend President Vladimir Putin’s state-of-the nation speech in February and was absent from an annual meeting in March between the president and big business, arranged by the Russian Union of Industrialists and Entrepreneurs. He’s likely to skip the St. Petersburg economic forum in June again this year, according to people familiar with the matter, who asked not to be identified discussing private matters. Even En+ Chairman Greg Barker, the British lord who spearheaded the lobbying push, says he hasn’t spoken to Deripaska since the sanctions were lifted. The tycoon’s relationship with the companies is now “very constrained,” Barker said this week at the FT Global Commodities Summit in Lausanne. At En+ and Rusal, it’s mostly been a return to business as usual, with one glaring difference: employees go out of their way to avoid direct contact with the man who for years controlled both companies, according to people familiar with situation. Most of the top executives at the companies have worked for Deripaska for years -- more than a decade in the case of Rusal’s management. Yet the stakes of compliance are high, with some U.S. politicians having expressed doubts that the billionaire no longer controls the companies, and there are calls for the sanctions relief to be revisited. Executives’ mobile phones are periodically checked for whether they’ve had contact with Deripaska. On rare occasions when communication is unavoidable, the employee must report it to the compliance department, explaining in detail why it was needed and what was discussed, and a report is submitted to the Treasury’s Office of Foreign Assets Control, the people said. The En+ and Rusal executives are, however, not limited in their communication with top people at other Deripaska companies not restricted by the OFAC deal. Still, the implications extend beyond the two companies. Rusal owns 28 percent of MMC Norilsk Nickel PJSC, while Potanin holds 34.5 percent. The two billionaires have battled for years for control of the company. With Deripaska out of the picture, Potanin says it’s unclear who’s making strategic decisions at Rusal. For his part, Deripaska has sued the U.S. Treasury Department and Secretary Steven Mnuchin in Washington to have the sanctions on him lifted, calling himself “the latest victim” of “political infighting and ongoing reaction to Russia’s purported interference” with the 2016 U.S. presidential election. A TV interview with CNBC in March to discuss his claim was one few public appearances since last April. That Deripaska would take the step of suing shows how “very onerous” the situation has been on the billionaire, Barker said -- adding that he only found out about the case through press reports.